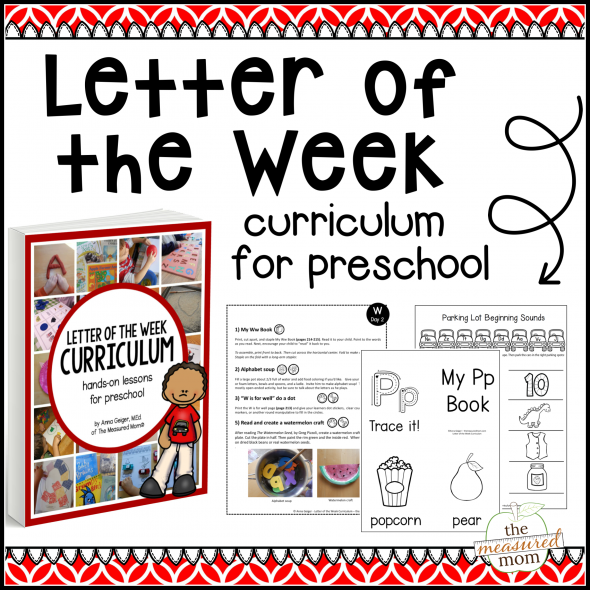 Looking for big and small activities for preschool? Today I’m sharing a fun collection! So much of the math we do with preschoolers is just part of everyday life. You can find plenty of printables to cut apart and have your child put in order by size, but you can also learn this skill without any computer ink. 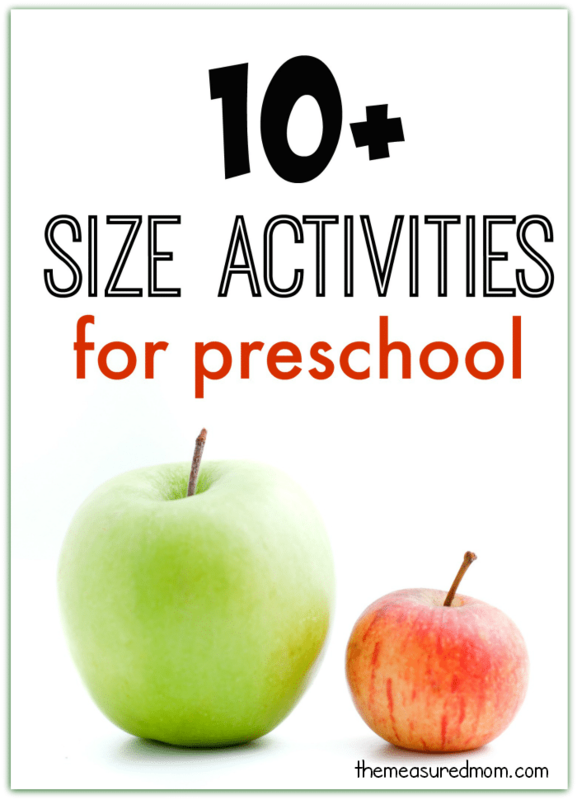 Check out this fun set of size activities for preschool! 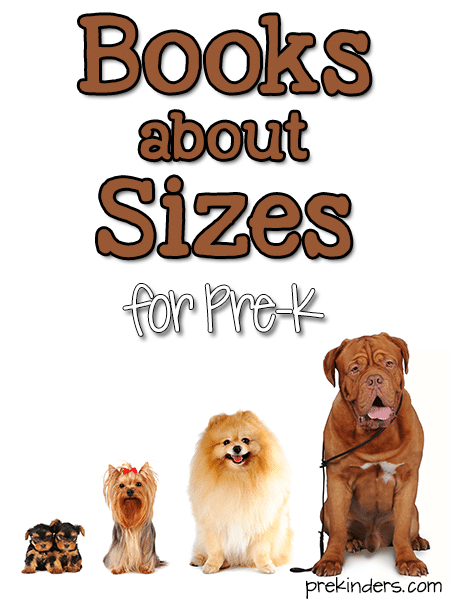 Prekinders has a list of books about sizes for preschoolers. 2. Put tools in order by size. Raid the toolbox for tools that come in different sizes, and invite your child to sort them from small to large. 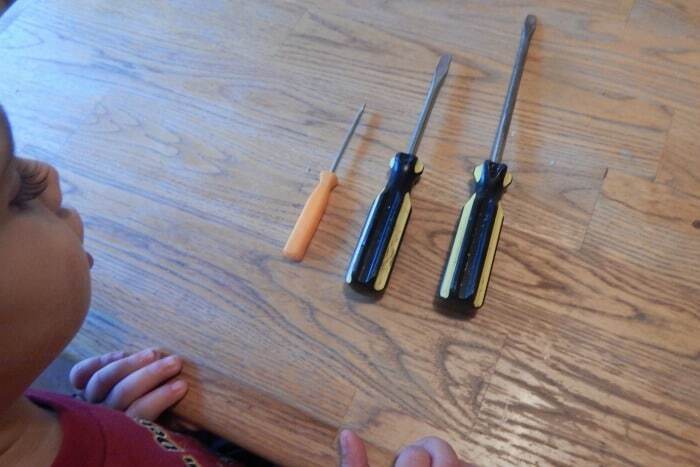 This is an extra fun activity for kids because the tools are usually off limits. 3. Play with sorting and stacking toys. Do you have a size puzzle or other toys that have parts in different sizes? Those old stacking rings are great for this. 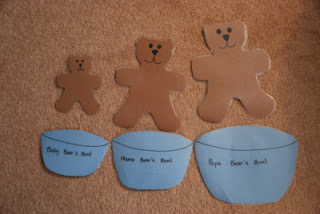 Browse the widget above for some other toys that will help your child learn more about sizes. 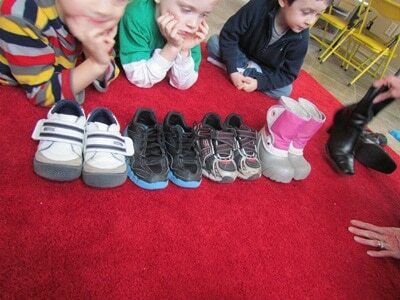 Teach Preschool compared shoe sizes in the classroom. The Educators’ Spin on It compared shoe sizes at home. 5. Play an active outdoor game. 6. Sort items from nature. 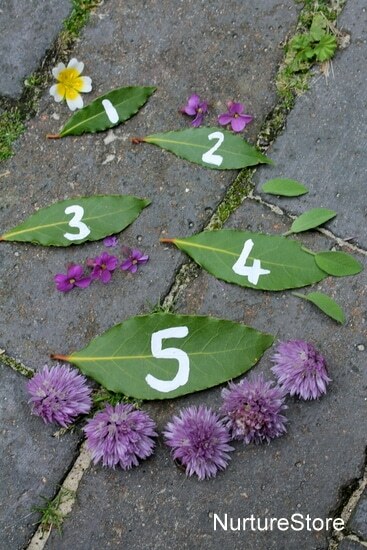 The Nurture Store arranged leaves by size and labeled them. 7. Play with nesting cookie or biscuit cutters. Prekinders has a center for ordering and putting away cookie cutters. 8. Play with measuring tools. Check out the learning opportunities at Teach Preschool when the children explored measuring tape and other measuring tools. 9. 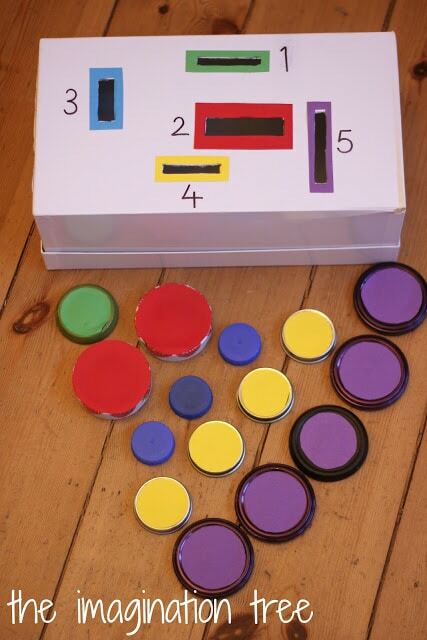 Collect lids of different sizes and make your own game. 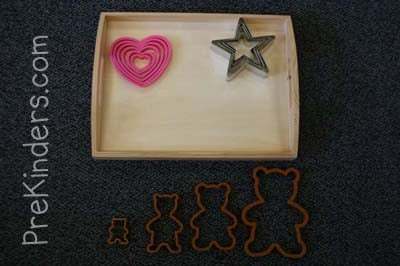 Try this do it yourself sorting box from The Imagination Tree. 10. Sort large, medium, and small household items. Go on a hunt around your house for items that are large, medium, and small. Then make some three bears counting mats for sorting. Totally Tots has a big list of household items to sort! 11. Order straws by length. 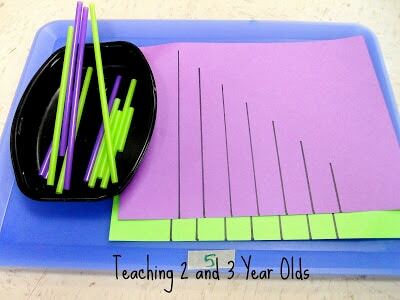 Teaching 2 and 3 Year Olds put straws in order by size. Be sure to check out the rest of their every day math play ideas! 12. Compare lengths using yarn. 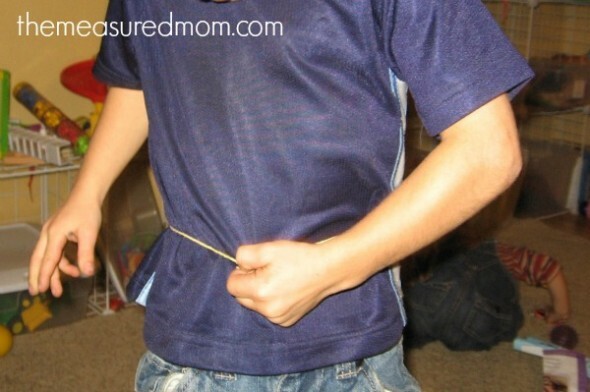 Help your child use yarn to measure different body parts and cut the end. Compare lengths. Which is longer, his arm or his leg? Who in the family has the biggest bicep? 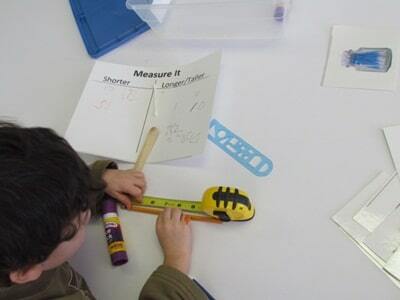 Check out our big collection of yarn measurement activities here. 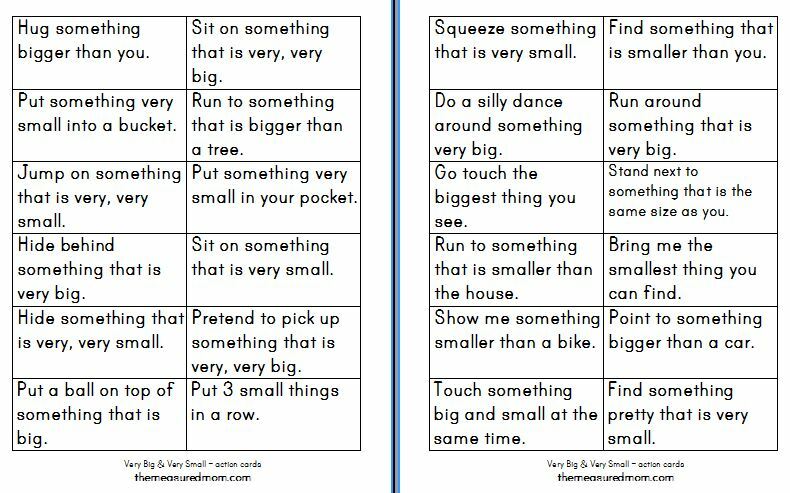 I hope you found some fun ways to explore the concept of big and small with your preschooler! Thank you for working hard to produce such an excellent and helpful site. I had already thought of some of these, yet you have shown me so many more directions I can go with this. I am working towards becoming a speech/language pathologist assistant and will be using your site and crediting it in an upcoming assignment. Any way we can reach children the way they learn is a win!